As you know, on this blog we talk mostly about how to increase your energy and productivity using food and movement. While I taught you about some food hacks while traveling or the productivity ritual, I think the movement part came a little short. So consider this article a primer on basic moving for every day people. In a previous post I talked about the importance of rotating desks throughout the day. That’s a start, but not enough. 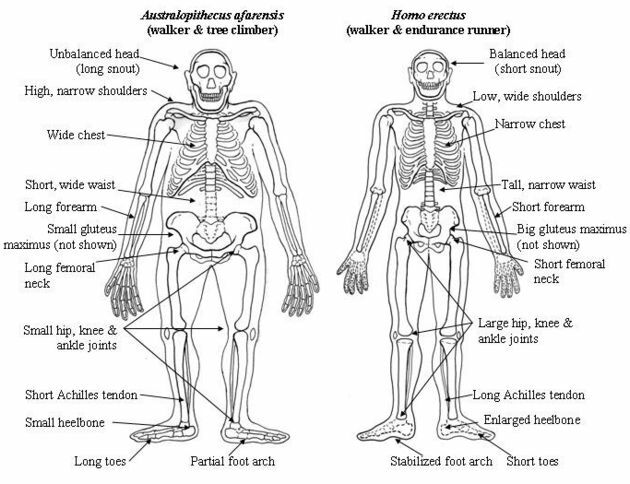 See our bodies, over a long evolutionary period have been adapted to move and move a lot. Simply because moving back then meant surviving. Think about it: Whether it is gathering and hunting for food or getting away from predators, you need to be able to climb, jump and run etc. just to be able to get out of harms away and feed yourself. Nowadays, we don’t have these problems: Our food is served to us, we pay the cashier and sit at a table, eating while no predator is trying to eat us or our food. On the way home we don’t need to hunt for berries or nuts, because we have our groceries at home (which is also sheltered by the way) and we can cook whatever and however we want. Think about it, our bodies have adapted for nature, but our world has adapted to our comfort. It sounds good on paper but brings some problems with it. For example the neck or back pain you might be facing or the obesity that you might acquire in the next few years, is simply a result of you not taking good enough care of your body. It is and isn’t your fault, that’s the bad part. But it’s entirely in your hand, that’s the good part! Besides the above mentioned point of your body being made to move, there are other benefits as well, which can actually help you increase your productivity and energy levels. But let’s look at the biological parts first. We have stabilized feet, through a foot arch, a long achilles tendon, a narrow waist with a large hip joint and knee joints and a big gluteus. All these things contribute to the fact that our bodies are walking and running (or moving) machines. If you’ve seen a primate walk or run, you see that they kip from side to side to walk, which is very inefficient and needs a lot of energy. You wouldn’t be able to run for long hours if you’re body would be shaped like that. But with our body, we can easily walk and jump for hours! As you can see there are tons of different studies, books and beliefs that walking, running and moving in general is good for you. Move during the down time, so you can have more energy afterwards. I’ve been a fan of lunch workouts for a while now and I’ve been doing it at my old job almost every day. There is something calming and refreshing in a lunch workout, that I can’t really put into words. The only negative part is the timing aspect: If you’re not allowed to take a long lunch break, you have to improvise. And you also have to improves on your eating part. That being said, you can be creative in your choice of workout. A workout is not only “the cardio machine for 45 minutes”, it can be a brisk or slow walk, a 7-min. workout or even a swim in the lake! You directly counteract the phase at around 2 or 3pm, where you get sleepy, maybe even into carb coma but have to power through. Obviously you could drink Action Tea or coffee, but that’s not the idea. If you’re body needs down time you need to give it, or counteract it differently (by moving during lunch). Even a quick yoga session will help loosen your body and mind and get ready for the afternoon. Not everyone can afford the lunch workout, for different reasons: timing, schedule and other problems might occur when trying to sneak away just before lunch and returning after lunch break to eat your food. Alternatively, I suggest people to workout out first thing in the morning: Since you know about my productivity ritual, you could implement it there (I will soon talk about the morning routine as a whole, stay tuned) or walk to the office, that’s another alternative. Depending on where you live walking to the office can be quite the walk, but it’s definitely worth it: You escape the morning rush and can breathe freely and easily before getting started with work. Another great alternative is the evening walk: Leave your office and walk home. Again you can enjoy breathing and walking while everyone is rushing home. If you feel like including your significant other (and why wouldn’t you?) suggest a shortwalk after dinner, to talk about the day and shut off. Implement it into your evening routine. The importance of moving is getting lost and we acquire more injuries and sicknesses because of it. Yes, we are not hunters and gatherers anymore, but our bodies are still equipped to move like that, meaning we have to move more in order to stay healthy. Moving more doesn’t mean 3 times per week 45 minute cardio machine, it means moving every day a bit in a different setting. Today it’s walking to the office, tomorrow it’s bouldering, on Wednesday it’s playing squash during the lunch break, you get the point. Make sure to implement your movement into your daily habits and routine, so that you don’t skip on it and stay healthy (and productive!). Download an office workout to get started right away.